36″ x 48″ (91cm x 122cm) acrylic on canvas 2017. To enquire about this work, please contact us. 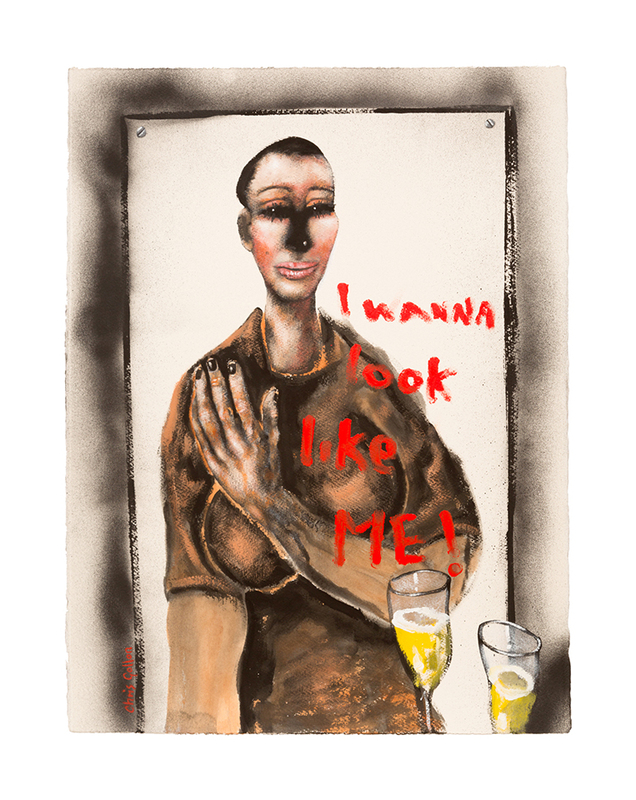 In a continuation of his ongoing experiment in artistic “boundary crossing” with Irish singer-songwriter Eleanor McEvoy, entitled NAKED MUSIC, in late 2016 Chris Gollon embarked on a new series of paintings entitled ‘Gimme Some Wine’. They are inspired by Eleanor’s song of the same title, which she wrote for Chris Gollon and dedicated to him. The song in turn took its inspiration from Gollon’s painting ‘Dreaming of Leaving’, which had been inspired by the song of same title co-written by Eleanor McEvoy and Lloyd Cole. This exciting to-and-fro of lyrics and paintings was how McEvoy and Gollon worked and interviews with both about their collaborations are in the new book about this unique collaborative project: NAKED MUSIC. 10ft x 36″ (3m x 91cms) panels 1-4 oil on canvas, panel 5 acrylic on canvas, 2014. To enquire about this painting, please contact us. 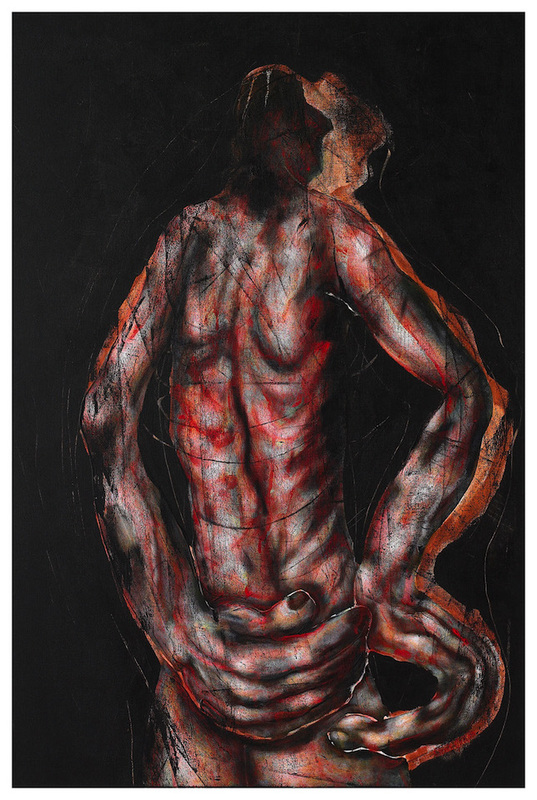 48″ x 36″ (122 x 91cm), acrylic on panel 1998. Private collection. 60″ x 48″ (153 x 122cm) acrylic on canvas 2004. Permanent collection, Huddersfield Art Gallery. 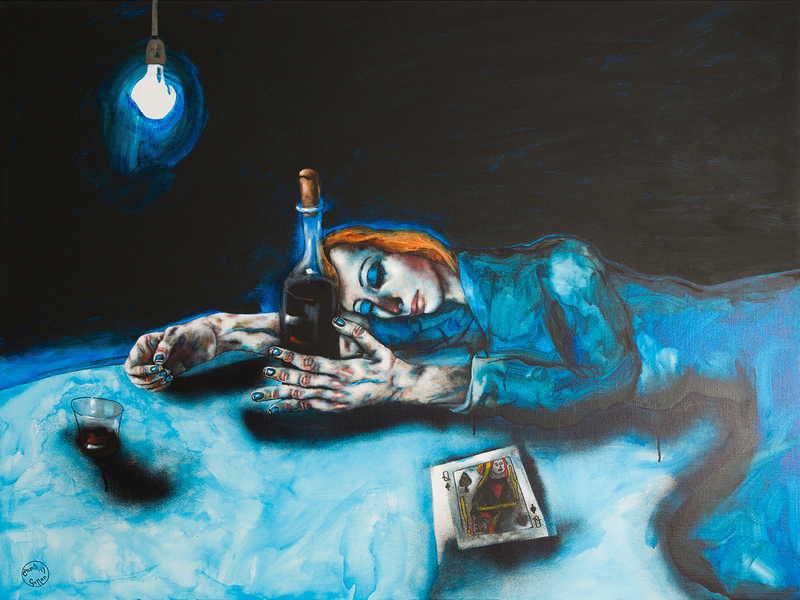 This painting take sits initial inspiration from lyrics in Bob Dylan’s great 1964 ballad ‘Desolation Row’ . 30″ x 22″ (76 x 56cm) acrylic on paper 2016. From the NAKED MUSIC series and after the Eleanor McEvoy song. 36″ x 24″ (91 x 61cm) acrylic on canvas 2010. 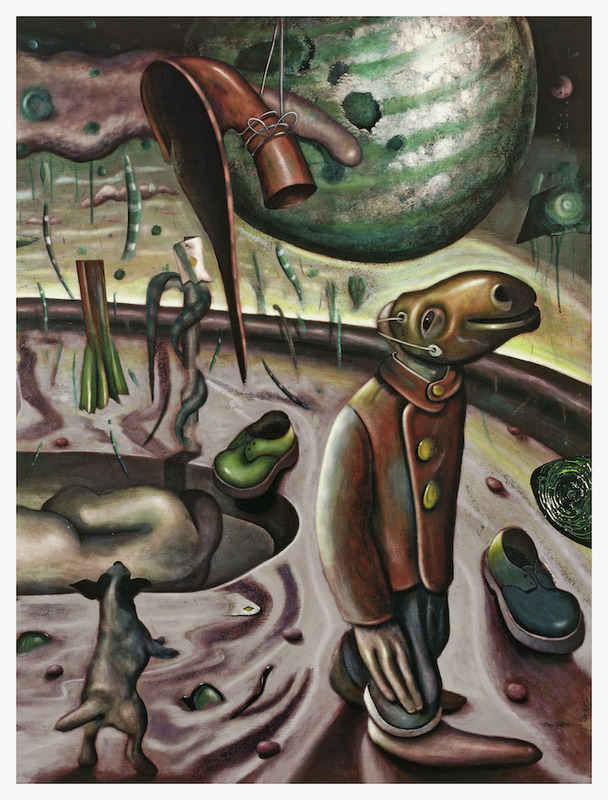 This solo museum exhibition will be a retrospective of Chris Gollon’s paintings partially inspired by music or music lyrics, from those of Bob Dylan, Neil Young, Talk Talk, Thurston Moore to those of Eleanor McEvoy, with whom Chris Gollon collaborated in the last 2 years of his life. A selection of Chris Gollon’s paintings inspired by and/or related to music, which shed light on Gollon’s interest in ‘boundary crossing’, how one art form can influence another and take both into new areas of thought and feeling. 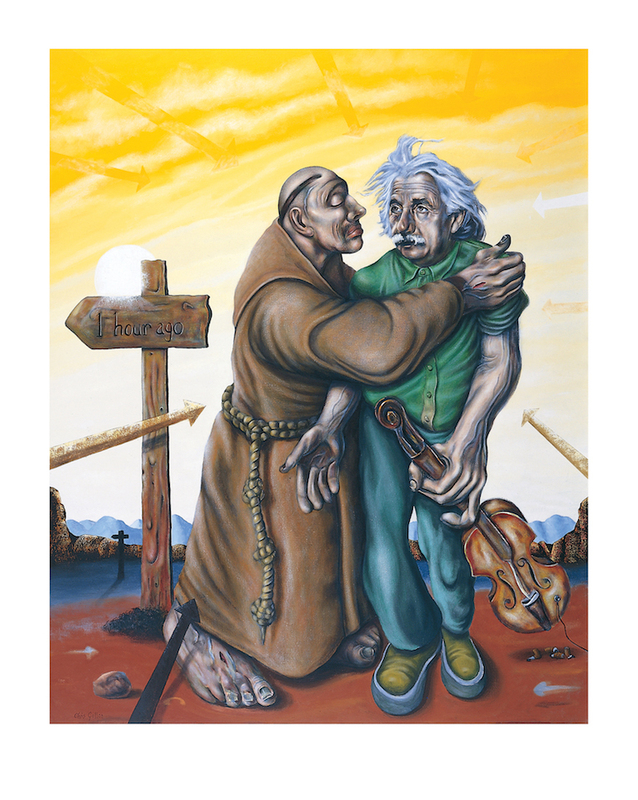 This retrospective exhibition of Chris Gollon’s major music-related works, will include ‘Einstein & The Jealous Monk (after Bob Dylan)’, which was acquired in 2005 by Huddersfield Art Gallery for its permanent collection, where it hangs with works by Francis Bacon, Henry Moore, Frank Auerbach and Walter Sickert. The final selection of paintings will be decided by August 2019, for further information: contact us.